The craft beer industry has exploded in Australia. Four brewers explain what’s driving demand, where the sector is headed and what others entering the industry might consider. It wasn’t that long ago, to quote a Deloitte report, that Australia’s craft beer industry largely comprised “beer lovers who tinkered with their home brew kits and methods”. Nowadays, those tinkering beer lovers are listing on the stock exchange, constructing state-of-the-art, eco-friendly breweries and exporting their products around the world. The Australian craft beer industry is young. 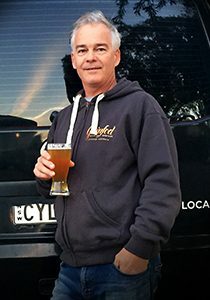 In 1983 brewer Phil Sexton and a collection of university friends launched what is acknowledged as Australia’s first craft brewery at the Sail & Anchor pub in Fremantle, Western Australia. Sexton and partners went on to launch the Matilda Bay brand, then Little Creatures, and other microbreweries began opening across the country. 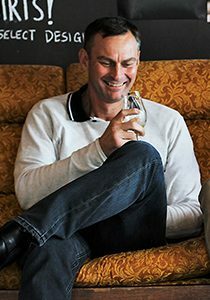 The marketing push by established players that had either bought craft brands such as Matilda Bay, or helped produce them, such as master brewer Chuck Hahn’s James Squire label, (created for Lion Nathan), greatly benefited the sector. By 2006 the number of Australian craft brewers had grown to 30, and today has swelled another 14 times to 420, according to the Independent Brewers Association (IBA). This financial year, craft brewers are predicted by IBISWorld to enjoy revenues of $454 million, while one in 10 beers now sold in Australia is a craft beer (though it should be noted that a significant number of craft beer brands are owned by multinational brewing behemoths). In all, some industry experts predict that craft beer’s share of the beer market will double over the next 10 years; certainly, the IBA’s goal is to increase independent beer’s market share to 15 per cent by 2025. Here, four craft brewers – Ballistic Beer’s David Kitchen, Burleigh Brewing’s Peta Fielding, Broo Ltd’s Kent Grogan and Grainfed Brewing Company’s Lachlan MacBean – explain the industry’s challenges, opportunities and rewards. David Kitchen qualified as an accountant, worked at the Department of Foreign Affairs and Trade, then ran a chain of home-brewing-supplies outlets before launching Ballistic Beer. Peta Fielding is a former corporate finance lawyer. Kent Grogan once owned a financial services business. Lachlan MacBean studied horticulture at university and spent years working as the sales manager for his family’s tree nursery business. You could pick any four Australian craft beer company owners at random and find they shared similarly varied but impressive backgrounds. Typically, craft brewers are go-getters with business experience who’ve chosen to part ways with the traditional corporate world. They see craft brewing as a ‘lifestyle business’, at least to the extent it allows them to oversee an enterprise that reflects their values and vision. For as little as $20,000 to $30,000, someone can become what is known as a ‘gypsy brewer’. That is, they can come up with a recipe for a craft beer and pay an existing brewery to produce, bottle and label it. They can then try their luck selling it to friends, family members, pubs and bottle shops. Building a microbrewery and setting up a brewpub (an establishment that sells craft beer and food) will usually require at least $1,000,000. But that’s hardly an insurmountable capital barrier, especially for high-flying professional types or those who’ve already built and sold a business. Once they’ve established a relationship with a brewery or constructed their own, a craft beer business can distribute their product regionally, statewide, across the nation or, if they’re particularly ambitious, internationally. The craft beer industry has been exploding at the same time as Australians’ overall consumption of beer has been falling. That’s less paradoxical than it seems when you consider what Kitchen calls the MasterChef effect. Fielding believes consumers’ desire for artisanal food and drink is connected to a wider yearning to be part of a community. Ask craft brewers whether they have helped generate or just taken advantage of shifts in consumer tastes and they’ll tell you it’s a chicken and egg conundrum. Immediately after this, they’ll point out that, whatever favourable winds they’ve had at their back, craft brewers’ success has been hard won. What was the Craft Beer Industry Association recently changed its name to the Independent Brewers Association. Fielding, who was Chair of the Association for three years, says that happened because “’craft’ had been adopted as such a broad marketing term it had lost all meaning”. Describing certain beers as craft beers is problematic for two reasons. First, many craft brewers have been snapped up by what the Independent Brewers Association likes to refer to as “global brewing concerns”. They may or may not still be craft brewers but they certainly aren’t independent ones anymore. On the other side of the equation, some of the Independent Brewers Association members have grown so large it doesn’t make much sense to label them craft operations any longer. Grogan, who listed Broo on the ASX last year and says he is well on his way to cracking the Chinese market, has given a lot of thought to what still separates businesses such as his from what are referred to as ‘the majors’ (Australia’s traditional duopoly of Foster’s/Carlton and United Breweries, now owned by Anheuser-Busch InBev, and Lion). Grogan also points out Broo continues to make ‘sessionable’ beers. That is, “full-flavoured, sophisticated beers meant to be savoured rather than slammed down”. When David Kitchen’s wife wanted to return to Australia, he handed in his notice to the Department of Foreign Affairs and Trade. Back in Brisbane, he built a chain of home-brewing-supplies stores. “The logical next step was to create a brewery that home brewers wanting to become gypsy brewers could use,” he says. 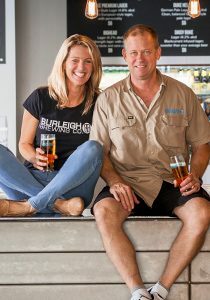 “But I got carried away, partnered with a brewer and created my own craft beer business.” Kitchen’s plan is to establish a “strong beachhead” in Brisbane then conquer the rest of the country. Like many craft brewers, Kitchen is simultaneously bullish about the industry and hesitant about encouraging others to enter it. “There will eventually be 600 to 700 craft beer businesses in Australia. Of course, only a small fraction of those will have a presence beyond their neighbourhood,” he says. 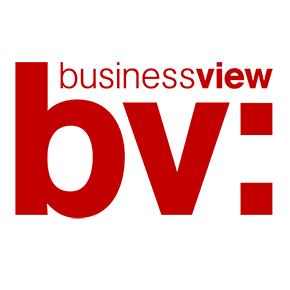 “Nonetheless, I expect craft beers to get to a 25 per cent market share over the next decade. However, I wouldn’t advise someone to get into the industry just because they like making beer and serving it up to their friends. Fielding has never been interested in “just creating a commodity that would be sold in markets we had no presence in or commitment to”. Kent Grogan is proud of his blue-collar background and he’s got his sights fixed on the kind of true-blue beer drinker who’s traditionally downed VB, XXXX or Tooheys New. It’s an approach that’s paying off. Broo listed on the Australian stock exchange in late 2016. It is spending $100 million to construct a solar-powered brewery in Ballarat. It has also partnered with the giant Jinxing Beer Group to distribute Broo beers throughout China. “I used to have a large financial services business, overseeing 490 brokers, but I reached a point where I’d had enough. I wanted to do something I loved and I’d always loved beer,” Grogan says. Like most craft brewers, he’s frustrated at what he perceives as the majors pressuring pubs not to put craft beers on tap. (A recent ACCC investigation found that the majors did incentivise pubs to sell their product. However, it stopped well short of concluding the majors were locking independent brewers out of the market.) 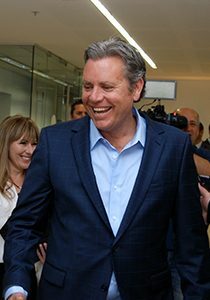 Nonetheless, he credits them with inadvertently turbocharging the growth of Australia’s craft beer industry. A long-time home brewer, Lachlan MacBean decided to turn pro in his mid-thirties. “I did a course in brewing science at the University of Ballarat then talked my way into a job as a brewer at Bluetongue Brewery,” he says. After almost six years at Bluetongue, MacBean set himself up as a gypsy brewer, launched Grainfed and began supplying pubs and clubs throughout Newcastle. Despite having worked for a craft brewery jointly purchased by Coca-Cola Amatil and SAB, MacBean warns that big paydays are rare.